The MCC awards AidData $400,000 to develop new methods using high-resolution satellite data to more accurately and frequently monitor the impacts of land reforms on poverty and land use. 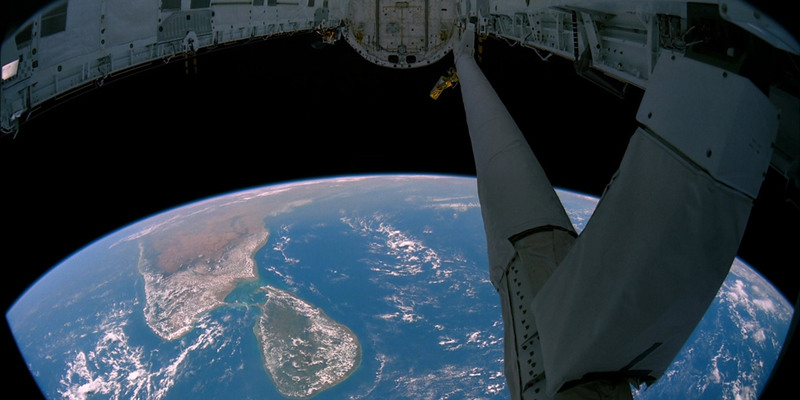 View of South India and Sri Lanka from the payload bay of the Space Shuttle in earth orbit. Photo by NASA via Wikimedia, licensed under (CC BY 2.0). Does securing farmers’ land rights help them plant greater amounts of more valuable crops? Do land use reforms protect urban residents from unfair eviction and help them plan for business? An estimated 2.5 billion people worldwide depend on land and natural resources that are held or managed collectively, but for which they lack formally recognized ownership—leaving them vulnerable to dispossession and displacement into poverty. Investing in land and property rights can ensure economic wellbeing for both rural and urban communities, but measuring the impact of these investments is not a simple task. AidData has received more than $400,000 from the Millennium Challenge Corporation (MCC) to leverage new technologies and data sources to create high-frequency measurements that can quantify how property and land right protection programs affect important outcomes like land use, poverty reduction, and economic growth. By applying innovative “change detection” algorithms to high-resolution satellite data, AidData will be able to detect fine-grained changes in land use and economic activity across diverse populations and geographies. Our researchers will use the MCC’s tentative investments in Sri Lanka’s land sector reforms as a pilot. In the end, AidData will have published a set of novel methods that can be applied to better monitor development projects across a wide range of countries and sectors. Since its inception in 2004, the MCC—an independent U.S. foreign aid agency separate from USAID and the State Department—has invested more than $12 billion to reduce poverty and promote economic growth in a shortlist of well-governed developing countries. The MCC is committed to rigorously evaluating all of its projects, and this focus on results requires collecting good data on its programs—and often. But the micro-level individual and household surveys that rigorous impact evaluations depend upon are usually too costly to implement every year across the organization’s entire portfolio. Without consistently and frequently measured data, it is difficult for development agencies to evaluate how their projects impact communities, and thus inform future investment decisions. Recognizing this reality, the MCC and AidData will work together to overcome some of the data barriers facing the agency’s land and property rights interventions. Historically, detecting changes in land use has proven difficult. On-the-ground surveys are expensive and need to be conducted multiple times over multiple years in order to capture the full potential impacts of land sector reform. An added challenge lies in the fact that reforms affect many land users, from rural farmers and medium- and large-scale farming operations to commercial owners and urban residents. Identifying and surveying these diverse populations remains a complex, time-consuming and expensive endeavor. AidData will address these challenges by integrating several sources of remotely-sensed data that is high in both spatial and temporal resolution: data that is captured both frequently and in high detail. Our researchers will develop a set of outcome measures that incorporate satellite data of daytime imagery, nighttime lights, and land surface temperatures to capture key indicators of land use—like changes in cropland, tree cover, and infrastructure electrification. The six-person AidData team will be led by BenYishay, who is also an Associate Professor of Economics at William & Mary, and Daniel Runfola, AidData's Senior Geospatial Scientist and an Assistant Professor of Applied Science. 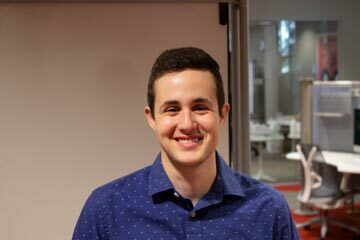 “This project will enable development organizations to more cost-effectively measure key changes from their projects,” said BenYishay. “With more accurate and timely measurements of on-the-ground change, we can see why and how investments in land and property rights impact people’s use of land and their economic well-being." 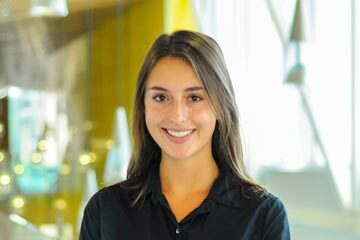 Elizabeth Teare is a Partnerships Associate at AidData.